Avoid realizing high-taxed, net, short-term capital gains on your investment portfolio. Aim for long-term capital gains or defer realization of unrealized capital gains. Remember that any realized losses, short or long-term, are fully deductible against realized gains. 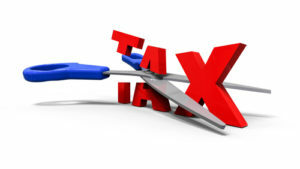 There is an annual limit of $3,000 on deductions of realized losses against ordinary income. A net realized loss of $3,000 can save you up to $1,200 on your income taxes when deducted against ordinary income. 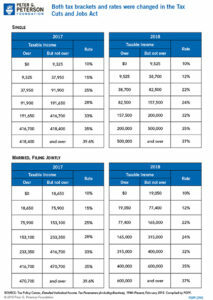 But be careful, selling for a tax-loss is harder than it looks. What you don’t want is to sell a losing stock for a tax-loss and then see its price zoom higher. To avoid a wash sale loss dis-allowance, double down on a loser then sell half the shares in 31 days. Regarding deferred capital gains, the step-up-in-basis coupled with no estate taxes (on assets under $11.2 million per person) confers the ultimate tax benefit – No taxes owed! When it comes to withholding and quarterly estimated tax payments, it pays to make like Goldilocks and get it just right. Withhold too little, and you’ll owe an IRS tax penalty, too much and you miss out on putting your money to work. Instead you’ve made an interest-free loan to your good friends at the IRS. For maximum tax efficiency, consider asset location alongside asset allocation decisions. You might be better off locating bonds, TIPS, REITs, gold bullion, options, and BDCs in a retirement account. A long-term stock portfolio might be best placed in a taxable account. Qualified Dividend Income (QDI) is a tax-advantaged dividend declared on the common or preferred shares of a tax-paying corporation. The maximum marginal tax rate on QDI is only 20%, and for many investors, it’s zero. 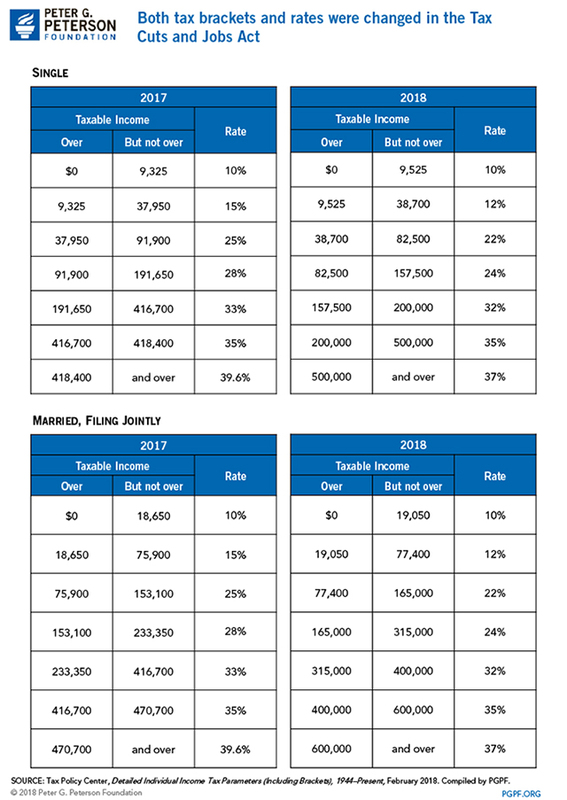 The long-term advantage of tax deferral depends on your future tax rate compared with your current marginal tax bracket. If in the future you’re taxed at a lower rate you’ll have saved taxes. If you’re taxed at a higher rate, you lose. If the tax rate is the same, you break even. A commission-paid insurance agent will almost always exaggerate the tax benefits of deferred annuities and cash value life insurance. By the way, did you know that delaying your social security claim until age 70 beats the risk and return profile of any commercial deferred annuity. Don’t buy a single life annuity or delay your social security if you have shorter than average life expectancy. Consider using a low-cost margin account at Interactive Brokers to avoid capital gains taxes by borrowing against a low-basis stock portfolio rather than selling shares. You might also hedge a concentrated securities position without incurring tax. Tax-free municipal bonds are a good deal for investors in the highest tax bracket. But don’t buy tax-free municipal bonds in your IRA. Taxable bonds are a better bet for an IRA. Form K-1s issued by MLPs are inconvenient but there are potential tax advantages that might make investing worthwhile. Dividends are often not taxable and depreciation recapture on sale is at favorable long-term capital gains tax rates. Avoid placing MLPs in an IRA due to rules regarding UBTI. Remember that in any given tax year, it’s your marginal tax bracket that’s most important for tax planning, not your averaged tax rate. The trick is minimizing your total taxes paid over time. One easy example,if you have substantial assets in an IRA and your current tax bracket is zero, withdraw all the IRA assets you can at the zero tax rate or do an equivalent Roth conversion. The sequence and timing of retirement plan withdrawals matters. And it’s not as simple as deferring distributions for as long as legally permissible. Depending on your current and projected future tax rate it might make sense to withdrawal more than the IRS minimum required distribution. Investors underappreciate the potential long-term tax-advantages of a partial or full Roth IRA conversion. A Roth conversion should be considered each tax year. The future is unknowable; related probabilities are estimates. Investing is hard. Don’t let anyone tell you otherwise. Every tax year take the time to evaluate the relative merits and applicability of various Individual Retirement Arrangements (IRAs) including Roth’s, Traditional, SEP’s, SIMPLE’s. Regarding employer-sponsored plans, 401k, 457b, etc., always contribute enough to receive your employer’s matching contribution. For older self-employed individuals and business owners a defined contribution pension plan can be a tax-saving bonanza. For some investors, a 529 Plan is an excellent vehicle for funding education expenses. But don’t rule out making an outright gift to a UTMA or UGTMA for the benefit of a minor. There are tax advantages to both strategies. If you’re over age 70 ½ and charitably inclined, consider making qualified charitable distributions from your IRA. Otherwise, to save taxes, consider making charitable gifts in the form of any highly appreciated securities that you own. If you own a successful business and have kids, consider giving them a job to do and then have them contribute their earnings of up to $5,500 a year to a Roth IRA. Questions or comments? Call or text me, Parker Evans, CFA, CFP at (727) 314-8181. Thanks for reading! Now read my review of Calculators for Estimating and Modeling your Income Taxes.